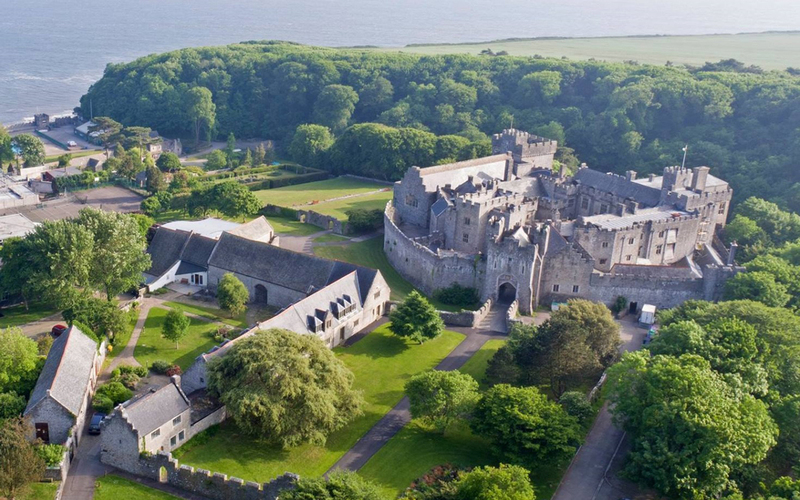 On the South Wales Coastline in the heart of the Vale of Glamorgan, St Donat’s Castle, a 12th century castle of beauty and magnitude, sits above its original Tudor garden terraces alongside a wooden valley. Located in the countryside, the nearest town is Llantwit Major which is approximately 40 minutes from central Cardiff and 20 minutes from Bridgend. The castle, owned by UWC Atlantic College, is available for weddings outside of the UWC College term usually from mid June to mid August. They only take one wedding per day, with the romantic castle and gardens hired on a 12.30pm to midnight basis for you and your guests. 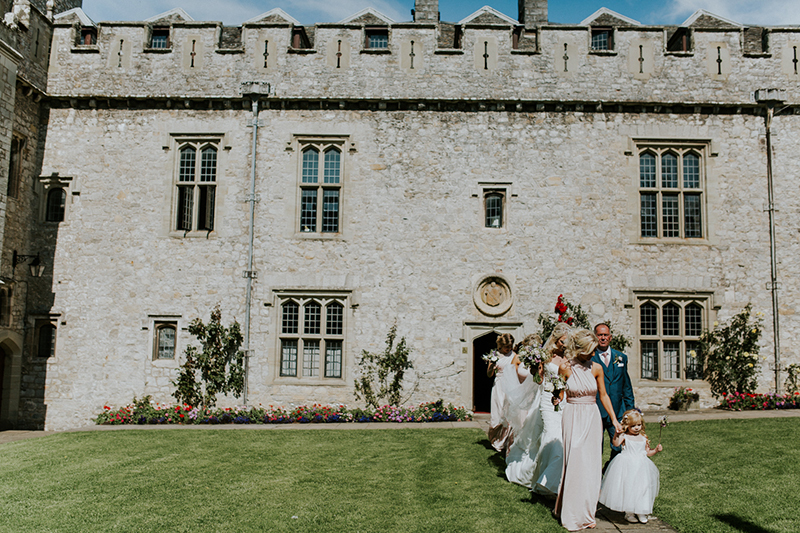 Hiring the castle for your special day includes use of the Bradenstoke Hall, Rose, Blue and Beast gardens, Top Lawn (with sea views), Inner Courtyard, Great Hall and a designated changing room on the day of the wedding. 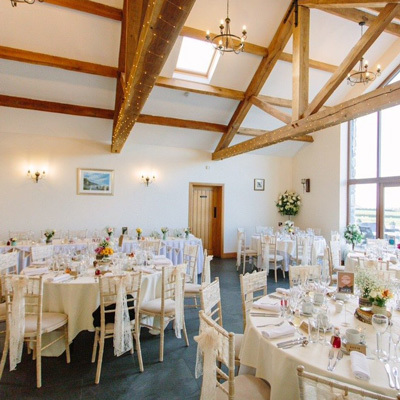 The Bradenstoke Hall can accommodate 150 guests for a wedding breakfast and 200 guests for an evening party. This grand room boasts character with original beam ceilings and bath stone walls. 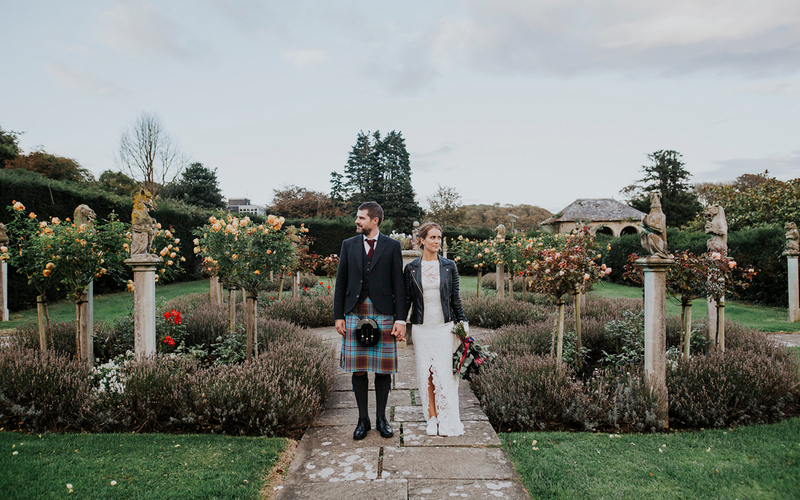 If you wish to get married at St Donat’s Castle, several of its rooms and gardens are licensed for wedding ceremonies and civil partnerships including the Inner Courtyard which is a popular area for outdoor ceremonies and drink receptions. 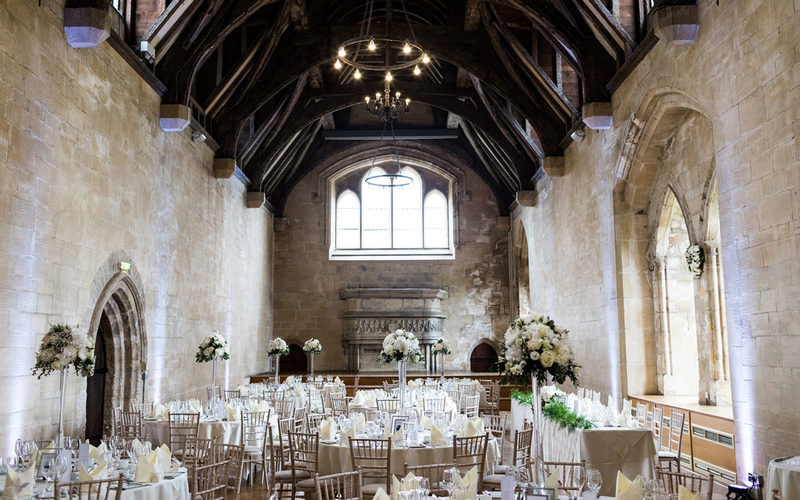 On-site is also the charming St Donat’s Church which can accommodate a wedding ceremony for up to 110 guests. 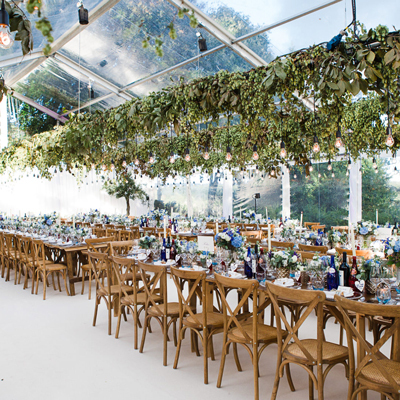 All catering is provided by their nominated caterers Town & Country Catering who are award winners in special events and fine dining, bringing a wealth of experience together with service levels and menus of the highest standards. 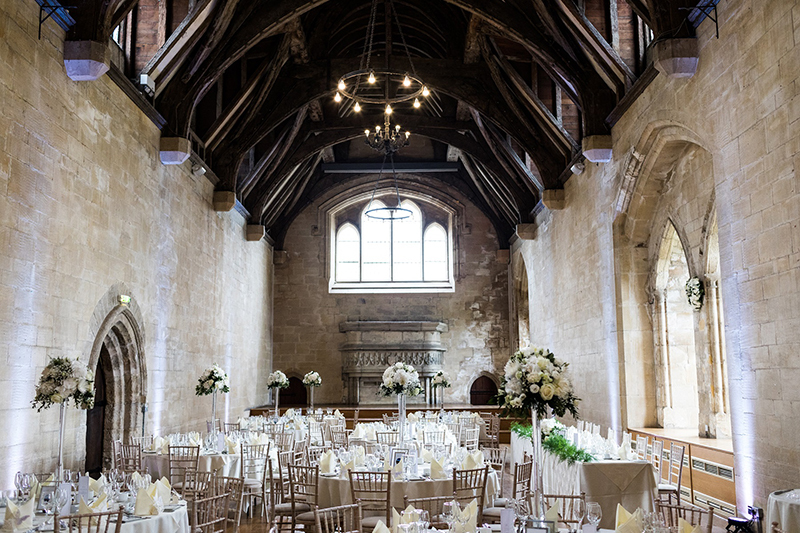 For Monday to Thursday weddings in 2019, the venue hire for St Donat’s Castle is reduced to £2,750. Simply get in touch with the team to discuss dates and details. Thank you so much for hosting our wedding, you were all excellent. All of our guests loved the castle and it really was all we ever wanted. Thank you especially to Sabrina who was always there to help us on the run up to the wedding, keeping us calm and always being very helpful and returning our millions of emails very efficiently. To Zoe who helped us on the day and helped to make the room look amazing for our guests and to Les at Town & Country Catering whose food was brilliant and the caterers were happy to accommodate whatever we wanted. 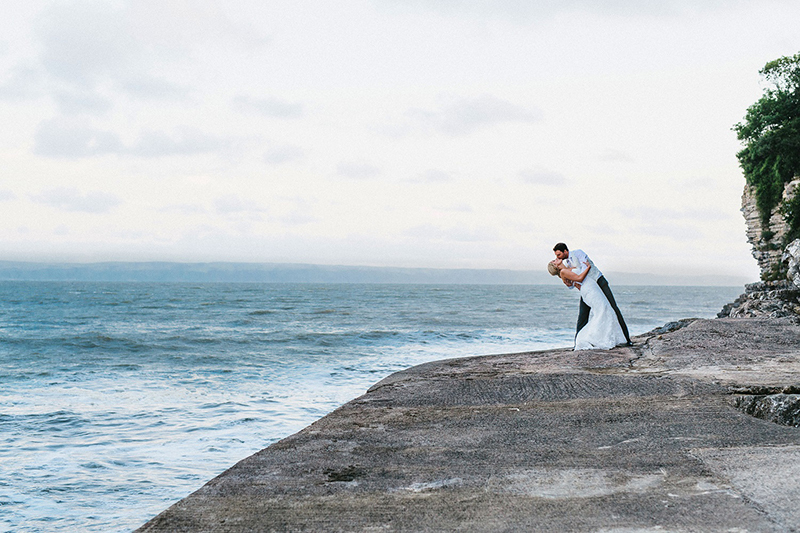 We would certainly recommend others to have their wedding at St Donats Castle, as the venue is out of this world and the staff are amazing. Thanks again, just wish we could do it all over again, we hope to return to do the Castle tour. 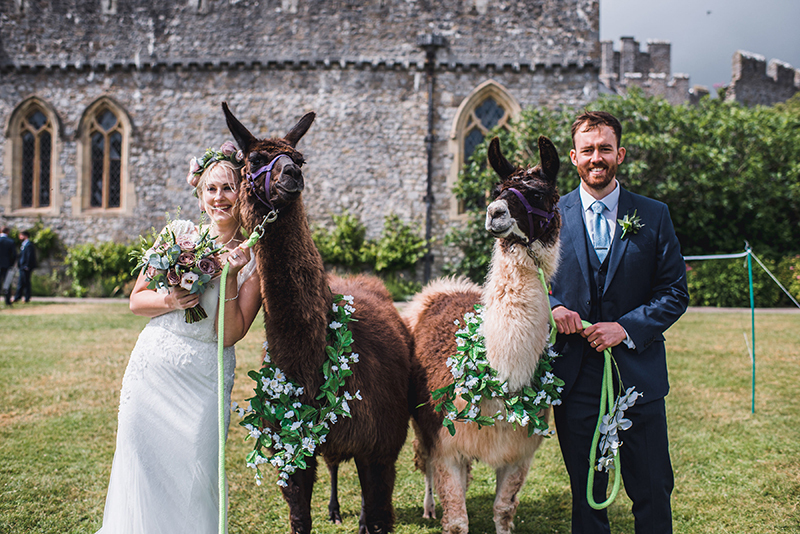 The St Donat's Castle team really bent over backwards to make sure our special day was a big success! We are delighted that we chose your venue. Thank you for all your hard work and kindness, we will definitely recommend you.